Cage Warriors announced today that they will be heading to Sweden next year when Cage Warriors 93 takes place on April 28 at Gothenburg’s Lisebergshallen. Cage Warriors were last in Scandinavia back in 2014 when Cage Warriors 66 took place in Copenhagen, Denamrk. That evening, a whole host of familiar names competed on the card with Nicolas Dalby defeating Sergei Churilov in the main event. With Damir Hadzovic, John Maguire, Jack Hermansson, Lina Lansberg, Anna Elmose and Sinead Kavanagh also featuring on the undercard, the event had no shortage of stars that have gone on to compete on the world stage. According to Cage Warriors CEO, Casimir Knight, the plan is to put together an equally compelling fight card and he’s promising it’s going to be an evening that will live long in the memory of the fans. “We have massive respect for the Swedish MMA scene,” says Cage Warriors CEO Casimir Knight. “Scandinavia as a whole consistently produces some of the best fighters in the world and there is a solid combat sports infrastructure built around an excellent network of gyms. No fights have yet been confirmed yet for Cage Warriors 93, but one man almost certain to feature will be lightweight standout , Soren Bak. 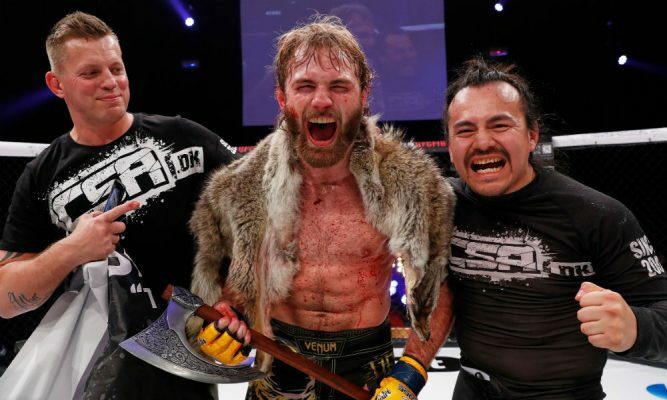 The 25-year-old Norwegian is coming off the back of one of the biggest wins of his career having defeated Martin Stapleton and has put back-to-back wins together in the Cage Warriors lightweight division. Stay tuned for fight news.